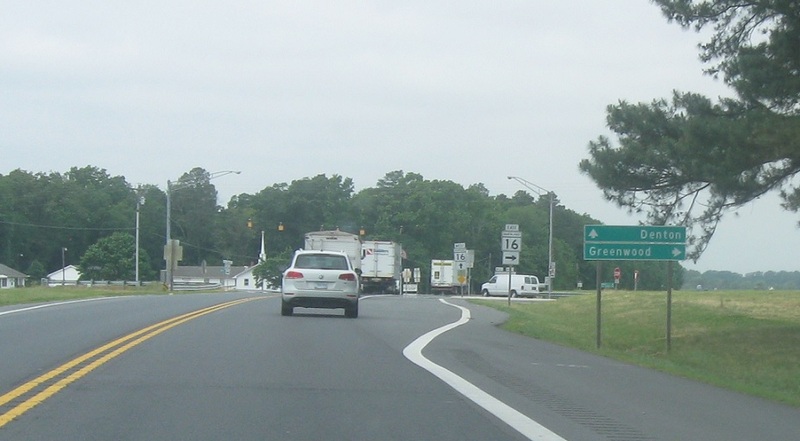 Reassurance shield as Maryland 404 begins. 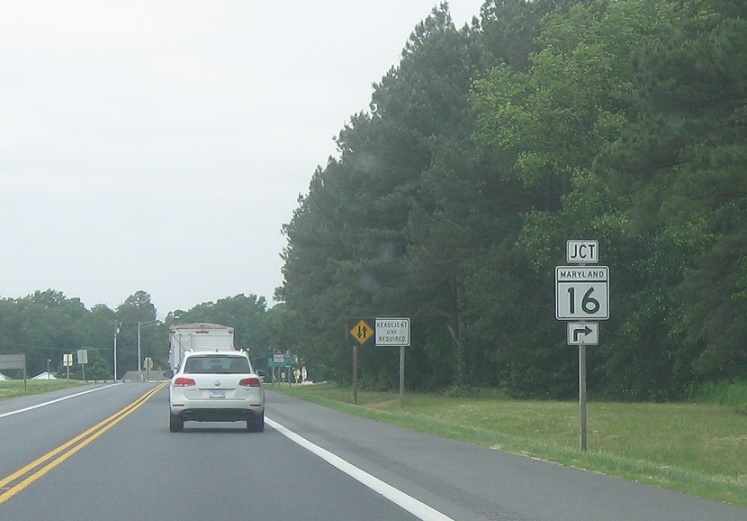 About a mile later we’ll approach MD 16. 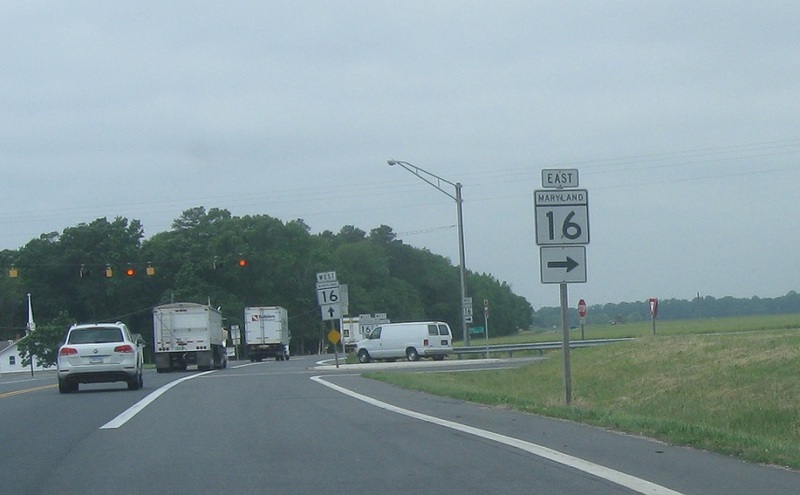 Follow 16 east to Greenwood, Del. Stay on 16/404 west for Denton. 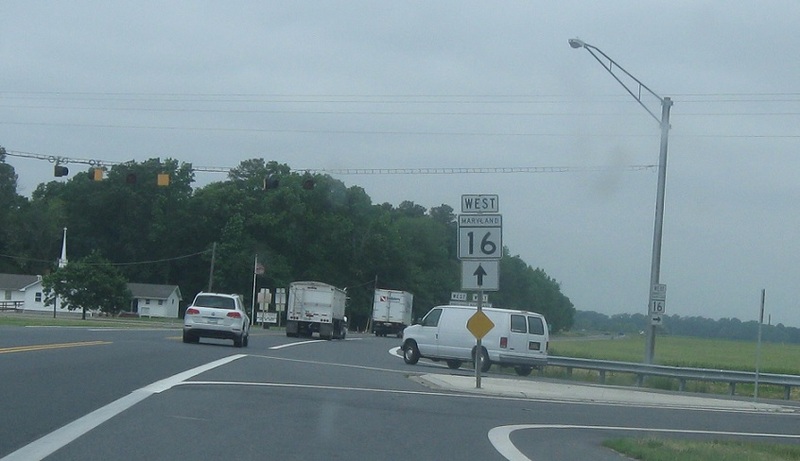 Turn right for 16 east back to Delaware. 16 west joins 404 west.